Articles > To Cancel Sounds? Watching the sea waves harmoniously shatter on the seashore is quoted as being one of the favorite pastimes which nature offers us. This repetitive but never monotonous movement inspires the mind into serenity. 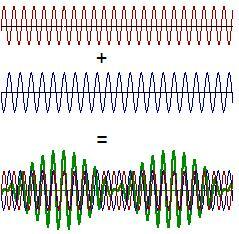 This very movement of waves may be paralleled to the one of sound waves in music. 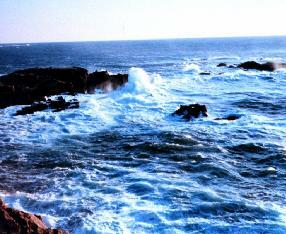 As with the sea, the waves occur with mathematical accuracy, and are utterly beautiful. However sound waves not only make up our favorite music, but constitute every sound we hear… including noise. Of course it can with new technologies implementing destructive interference. Isolating ourselves from unpleasant sounds can now be done following two different approaches; the simplest one, which is the classical one, is that of Isolating Earphones which isolate the ear from sound by preventing the noise from entering in the first place. Its effect is mechanical, and therefore requires no electronic circuits and power. In this case the foam or rubber sleeve fully protects the ear and shields it from outside noises, offering a unique and undisturbed musical sound. The newest and most effective technology is offered through the Noise Cancelling Headphones. These Headphones incorporate a microphone which samples the outside noise and adds it to the music being played with an inverse phase - which cancels out the external noise. As mentioned before, this technology works by destructive interference. The diagram (to the left) offers a simplistic point of view of a sine graph representing a longitudinal sound wave with the crest (highest point) being a compression and the trough (lowest point) being a rarefaction. When the two meet they pass through each other and cancel out (Diag. 2). The music reproduced trough the headphones will absolutely lack any kind of outside disturbance resulting in a candid and pure sound. Furthermore, this technology avoids the inconvenient of raising the music volume when the environment is too noisy, and thus damaging our ears. This principle is also used to eliminate the noise in excessively boisterous factories where the machines’ repetitive and loud noise can cause serious damages to workers. Originally designed for airplane pilots, this noise cancelling system was created in the late ‘70s, and has been implemented in consumer appliances only recently. This noise cancelling technology is extremely effective for continuous noises such as the low hums of computers, refrigerators and those of engines. However, it is not as effective when cancelling quickly changing noises (with a high frequency, therefore with a shorter wavelength) such as talking and street noise. These headphones could even add some extra distortion into the music if exposed to an electromagnetic field, as in close proximity of a cellular phone, or an old-fashioned TV set. The internal circuitry requires batteries to work properly, whereas the isolating earphones do not require any outside aid in order to isolate the ear from outside noises. Excluding unnecessary noise from our daily lives while enjoying music is a fantastic alternative to raising the music volume, although it’s a quite more expensive one.